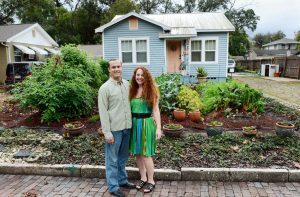 State lawmakers in Florida have told cities they must respect citizens’ property rights, and seemingly even more basic right to grow their own food. “Such regulations are void and unenforceable,” the new law says. 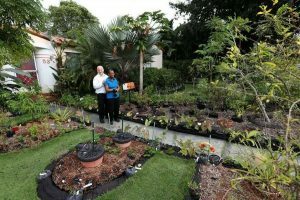 The legislation was inspired by a couple who had had been tending a beautiful front-yard vegetable garden for 17 years when the town of Miami Shores told them it was illegal and made them tear it up. It didn’t matter how nearly they tended their tomatoes, beets, scallions, spinach, kale and multiple varieties of Asian cabbage, only non-edible “ornamental” plants could be planted in view of the public, “unsightly” Swiss chard needed to be hidden behind the house, the town said. The couple argued there wasn’t enough sunlight in the backyard. “Indignant at the fact that vegetables were deemed more offensive than boats, RVs, jet skis, statues, fountains, gnomes, pink flamingoes, or Santa in a Speedo in one’s front yard,” they took their case all the way to the Florida Supreme Court, but lost, Tree Hugger reports. But a few months later, their story hit a nerve with enough state lawmakers, they are now victorious. ”The world is changing when it comes to food,” said Republican senator Rob Bradley, who sponsored the bill. One lawmaker feared frontyard gardens would attract “iguanas and rats,” but didn’t say why that wasn’t a concern for backyard gardens.